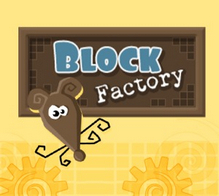 Block Factory was delisted from the Nintendo 3DS eShop no earlier than March 16th, 2017. This is the last date that the game was confirmed available on Archive.org. We received word on July 5th, 2018 via a submission that the game was unavailable on the North American eShop and was delisted at some point in 2017. Reasoning for the delisting is unknown. Enjoy Gaming’s other titles are still available and there was no obviously licensed content in Block Factory. Create and invent your own falling block puzzle games. Or play the 4 predefined games. Share your creations everywhere with StreetPass or QR Code images. Share your highscores through QR Code exchange. Thanks to William R. Matson for submitting this game to the site!